Enter a description of your issue here, in full detail. Upload your log file as an attachment by dragging & dropping. In order for us to provide better support, we need to see the log generated by Citra. This guide will walk you through how you can obtain the log file: How to Upload the Log File. Here’s some issues I found with your log that might help. CPU JIT should be enabled for the best performance. Please enable this option. You need to upgrade to 10.14 Mojave. 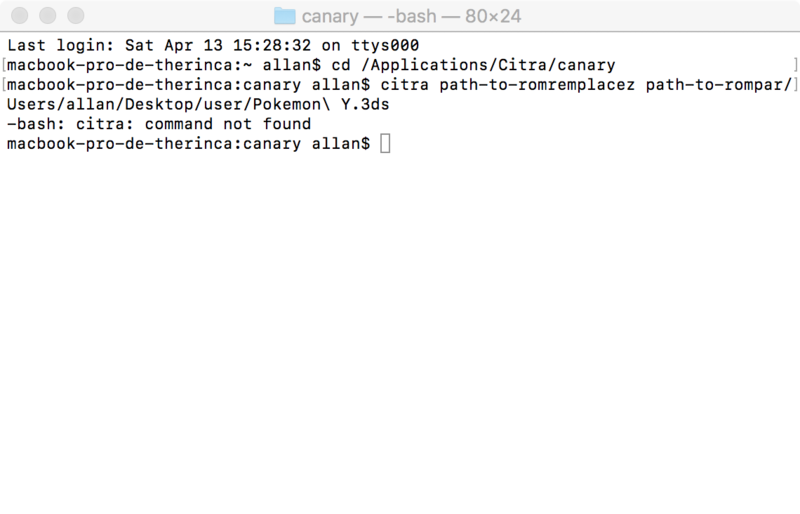 The other option is to use the SDL version of Citra(open citra with the terminal and not citra-qt.app) but you will lose the GUI so you have to configure manually in the config file. Navigate to where Citra is installed, I assume it’s in Applications. Do you know the basics of the terminal? Do you have Nightly or Canary installed? i installed canary. it’s good ? ./citra(add a space at the end) and then drag the rom to the terminal window and the path for it would be added for you. 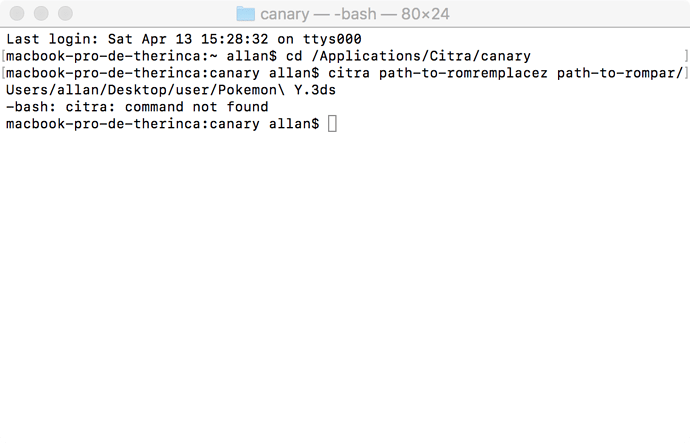 ./citra(end with a space) then drag Pokemon Y.3ds into the terminal window then press enter. Citra should boot up with the game.